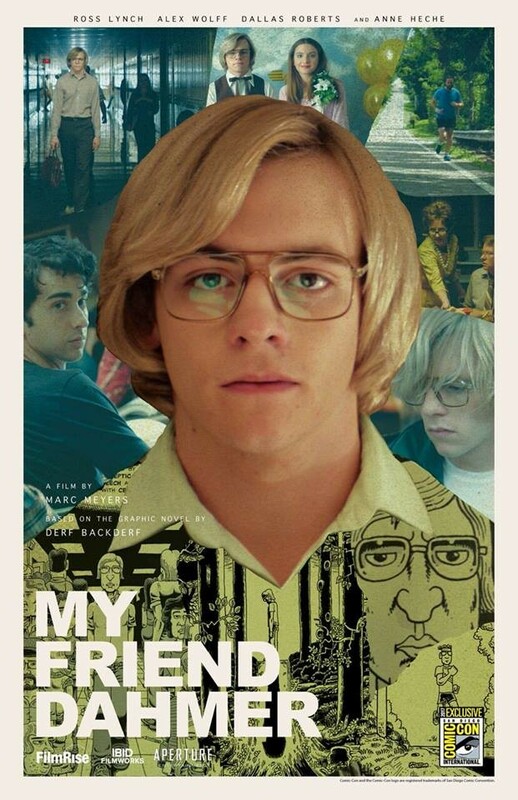 Jeffrey Dahmer (Ross Lynch) is a strange boy, an outcast at his school. He spends most of his time dissecting animal carcasses he found and experimenting with them. In his senior year, Jeff discovers that he will get attention if he pretends to be disabled or to have an epilleptic attack. 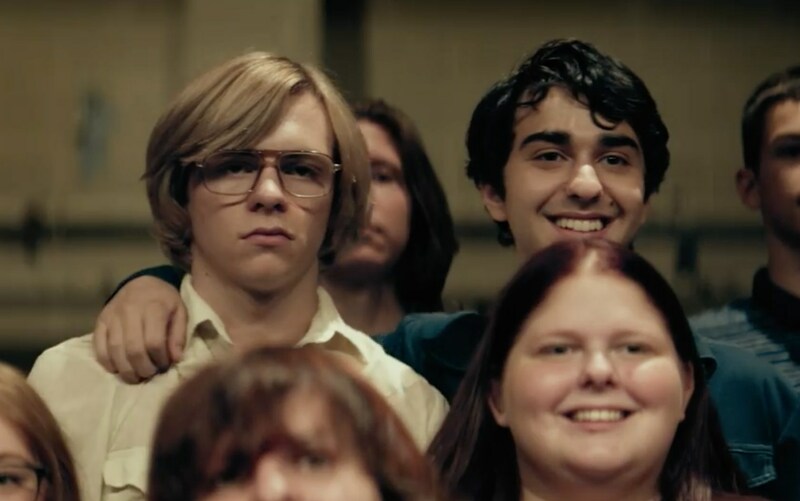 This behavior draws the attention of Derf (Alex Wolff) and his friends (Tommy Nelson, Harrison Holzer) who decide to become the Dahmer fanclub. Jeff is honored, but can’t shake his weirdness that becomes more and more pathological. My Friend Dahmer feels longer than it is, but in this case, that didn’t bother me at all. I thought it was a strong, thoughtful and smart film. We have seen many films about serial killers by now. Most of the time the killers get off pretty well: insane most likely, yes, but also fascinating and interesting and kind of hypnotic. And since that is the narrative on serial killers, we also get the films that deal with the cultural obsession we seem to have with that particular topic. My Friend Dahmer falls into neither of that category. The Dahmer here is not cool, albeit twisted. He is simply a lonely, weird and in the end abandoned little boy. At the same time the movie doesn’t even begin to pretend that this absolves Dahmer of the responsibility for his crimes or that he isn’t very disturbed. He is. It just offered me a social worker’s point of entry to the story: he wasn’t a lost cause to begin with. Maybe he ended up as one, but something could have been done. That turns it into an ultimately very sad affair with absolutely no winners. The psychology here was developed with great sensitivity. It was also very well acted. Ross Lynch does a great job in a role that can’t have been easy to play. Alex Wolff has the easier part to play, maybe, but he, too, does it very well. I knew nothing about Dahmer going into the film, but I really think that Meyers gave us a great introduction into the case and the person, without sensationalizing it or him. I wish more serial killer stories were like that. Summarizing: I really liked it. This entry was posted in movies and tagged /slash Filmfestival, 2017, Alex Wolff, Anne Heche, Dallas Roberts, Derf Backderf, Harrison Holzer, Jeffrey Dahmer, Liam Koeth, Marc Meyers, My Friend Dahmer, Ross Lynch, Tommy Nelson, Vincent Kartheiser by kalafudra. Bookmark the permalink.